Xeo is the sole Spartan survivor of the bloody battle of the Thermopylae, held captive so his defeaters may learn how 300 men kept the Persian hoards at bay, only to be vanquished by betrayal. Reading Pressfield, it’s easy to understand why producers of 300 considered basing their picture on Gates of Fire. The factual basis of the ultimate underdog story is expertly utilised to envelop readers in an alien world, where war and death were a way of life. Intimately researched, with a narrative as relentlessly engaging as its subjects, Gates of Fire is a gloriously rampant gore fest. 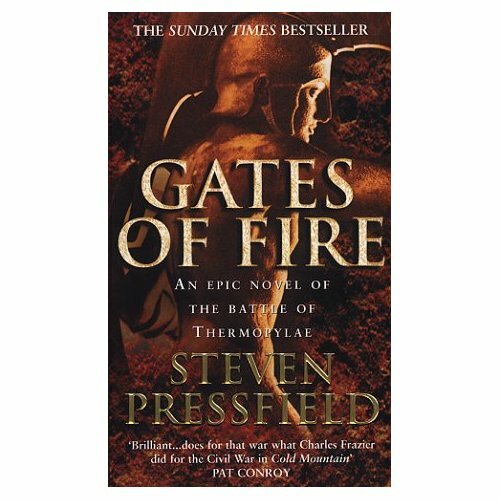 You are currently reading Gates of Fire by Steven Pressfield Review at booksbeccabuys.